The Wine & Spirit Festival is Toronto’s first outdoor wine and spirit festival. We return to the city’s fabulous waterfront, Sugar Beach centrally located in downtown Toronto. 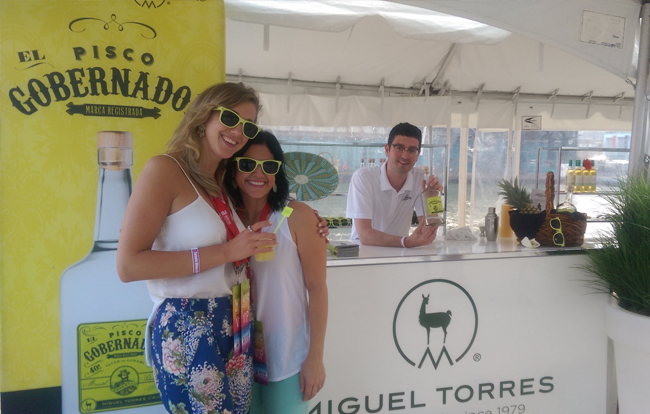 Hundreds of millennials took in the hot summer sun and kicked off their heels at Toronto’s Sugar Beach while dipping into three refreshing beverages at our feature cocktail bar showcasing; Miguel Torres Pisco EL GOBERNADOR “Pisco Punch” cocktails. This little known South American brandy, Pisco, the cocktail was the perfect match for a beautiful and relaxing summer day among friends. SILVER BAY wines from Ontario wine producer Henry of Pelham, and FONSECA PORT featuring a cool spin on white port served cold on ice with Fever-Tree Mediterranean tonic, Monin syrup, lemon, and fresh spring mint. This cocktail was such a hit, the recipe even made it into the new Fever-Tree recipe cocktail book. We know it’s hard to just have one.